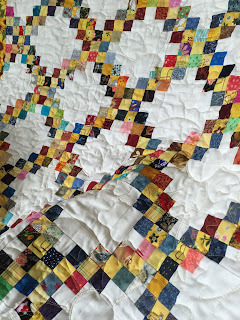 I love Irish Chain quilts - they come in all sorts of colours and the diagonal chains can be single, double or triple. 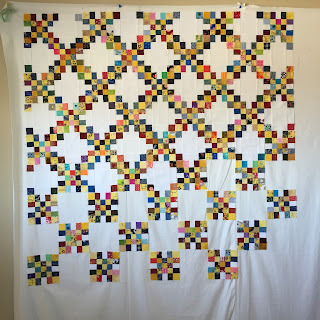 A year or so ago, I started sewing small 1.5" squares together into these blocks for a double Irish Chain quilt. 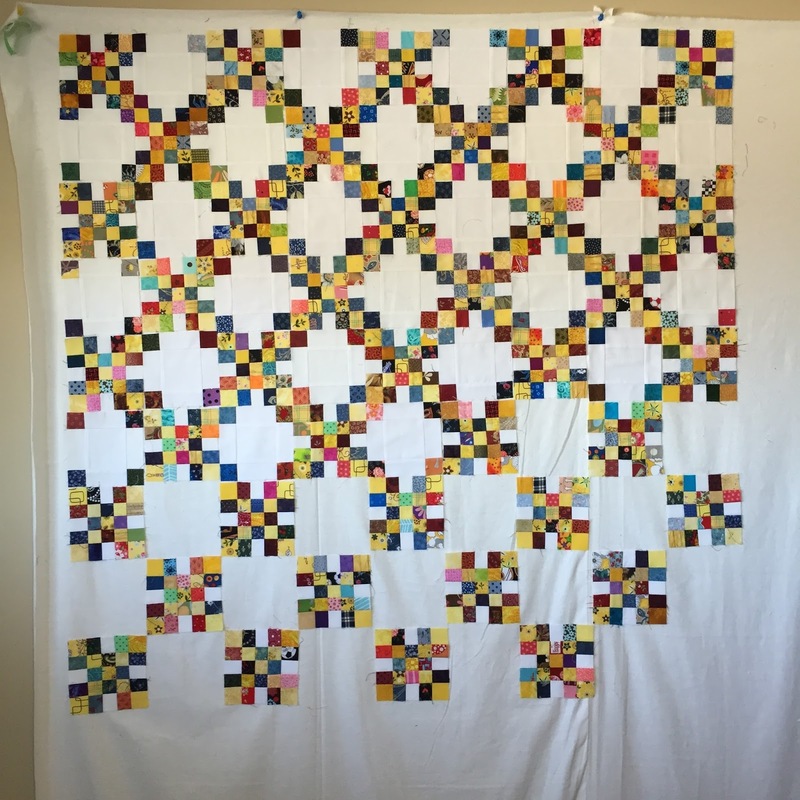 The main diagonal chain here are scraps of yellow. I didn't have enough in my scraps already cut, so I happily cut into some fat quarters and larger scraps to get what I needed. 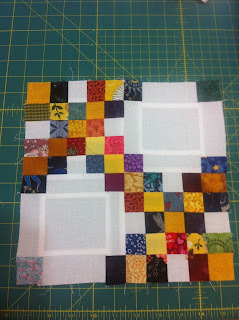 The first block is all background (white in this case) with four scrappy corners. 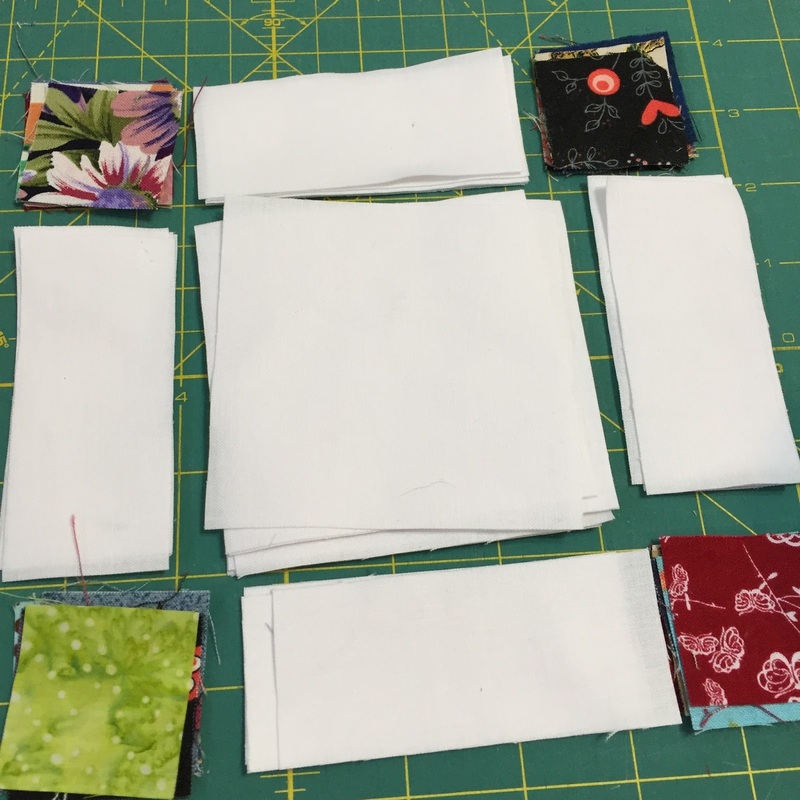 You will need four 1.5" scrappy squares, one 3.5" square white, and four 1.5"x3.5" rectangles. The second block is made up of twenty five 1.5" squares. Four white squares, Nine yellow (or other dominate colour to make the main chain) and twelve assorted scrappy squares. 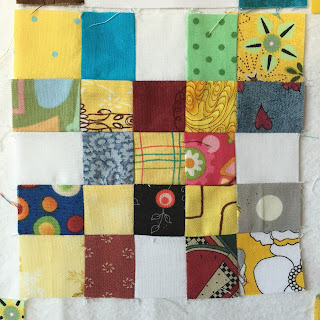 The border is a piece I received from a friend and it is a great match for the scrappy blocks. 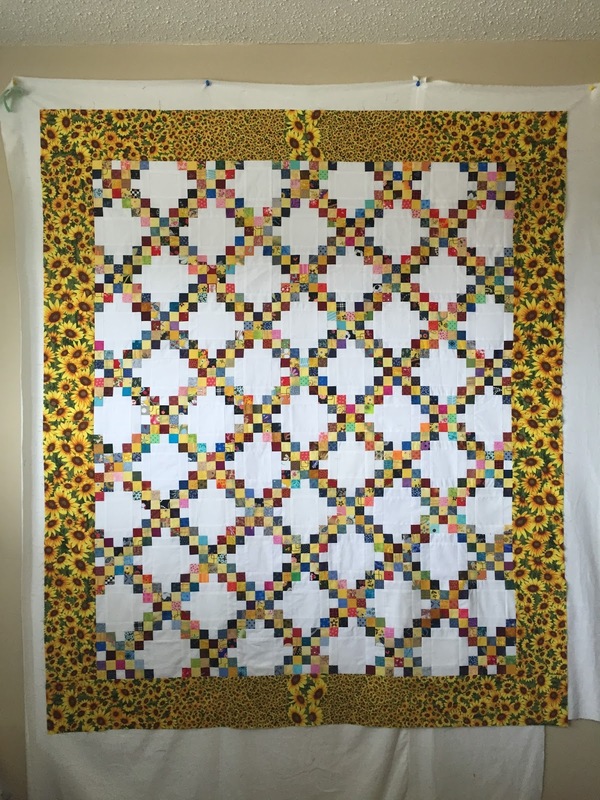 This one finishes up at about 53"x63", just perfect for a summer lap quilt! 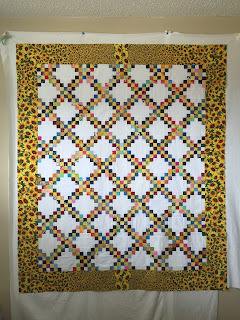 My long arm quilter Marie from Blueberry Hill Quilts found the perfect sunflower quilting pattern to finish it off.